I am Chris Hardwick. 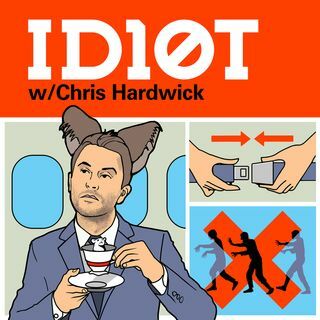 This podcast used to be called Nerdist. Now it is not. It is still basically just me talking about stuff and things with my two nerdy friends Jonah Ray and Matt Mira when they’re available, and usually someone more famous and smarter than all of us. Swearing is still fun, so we still do that occasionally. I hope you like this new iteration which is the same as before, but if a name hangs you up unhealthily I’m sure you will not hesitate to unfurl your rage not only in the ... See More ‘reviews’ section but also now on all the various social media platforms that have popped up since we started in 2010, effectively murdering blogs.